Regular shampooing is an essential part of maintaining shiny, healthy hair. But selecting a shampoo that's perfect for your hair can be an overwhelming process. Certain factors, such as the type and texture of your hair and whether or not your hair tends to be dry or oily, will play a determining role in the kind of shampoo that's right for you. There are dozens of regular shampoo options out there, depending on your personal needs and desires. If you tend to have an especially dry scalp, you may benefit from using a dandruff shampoo. For those who color or highlight their hair, consider using a shampoo designed specifically for colored hair. Many shampoos contain harsh chemicals that can strip your hair of its natural, healthy oils leaving it dry and limp. Look for a shampoo with organic and natural ingredients that doesn't have any artificial colors or scents. Remember that first and foremost shampoo is meant to cleanse your hair. 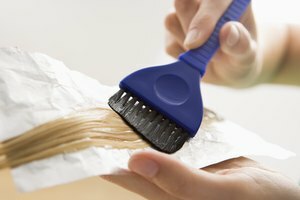 Unless yours is especially prone to particular problems, moisture and shine can be taken care of with your conditioner. The main purpose of a neutralizing shampoo is to re-balance your hair's pH level. 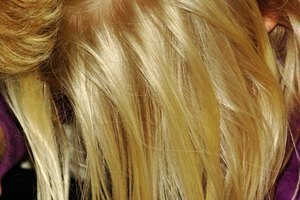 Hair sprays, gels and coloring products can affect your hair's natural pH balance, and neutralizing shampoo neutralizes any alkali and caustic residues. Your hair should ideally be at a pH level between 4.5 and 5.5. Look for a shampoo with a listed pH of around 5. However, unless you frequently expose your hair to relaxers and other chemicals, it's unlikely that your hair pH will be off balance. For optimal results, a neutralizing shampoo should be used in conjunction with a hair relaxer. Unless you're actually relaxing your hair, it's unlikely you need a neutralizing shampoo product. If you're planning on relaxing your hair, select a neutralizing product with a low pH level.